It's FREEZING out!! The past few days haven't been bad, but we had an artic blast come in and I'm dying. It's 27 degrees out and much colder with the wind chill. The wind is awful!! 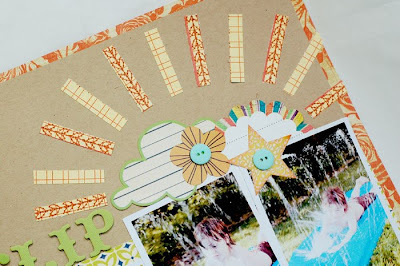 So, to keep me warm, I worked on a summery layout. I love these photos. Ryan and the girls had so much fun this summer on the slip and slide. This was a 'just for fun' page. I used some Sassafrass Lass and October Afternoon on it. 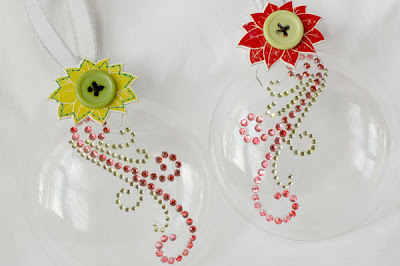 The buttons are Doodlebug. This next card is pretty sunny, too. I did it for the December sketch over at Emma's. 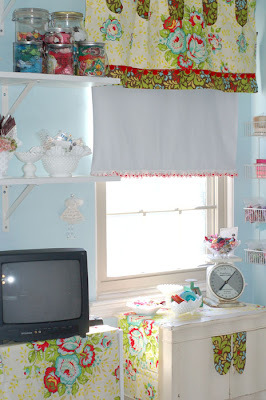 Lots of BG Nook and Pantry on it. I'm so excited! 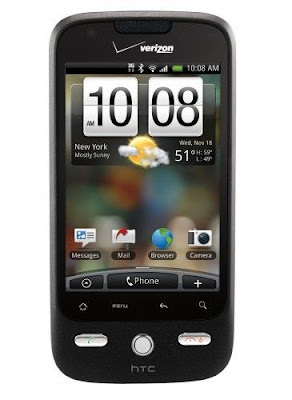 I love my phone. And I've been taking lots of videos. Santa brought me a tabletop tripod, so I'm hoping to figure out how to post some tutorials on here! That's about it for today. Have a great day! The wrapping is done, the tree is up and the food is ready. Christmas has finally arrived! I'd like to take this chance to wish all of you a Merry Christmas! I hope you celebrate, as I will be, with the ones you love most. I'm so excited to head to Christmas Eve Mass tonight. Celebrating the birth of Christ is what this is all about and sitting there in the beautifully decorated church, singing the songs and listening to the gospel passages always moves me to tears. Regardless of your beliefs, my wish for you is that your heart is filled with the loving spirit of this wonderful holiday. Today is a special day in our house for another reason, too! It's my hubby's birthday! Yes, he was born at midnight on Christmas Eve. My mother in law loves to tell the story of how the nurses all gathered around him in the delivery room and sang Silent Night. Not a bad way to enter this world, huh! Here is the card I made for him. 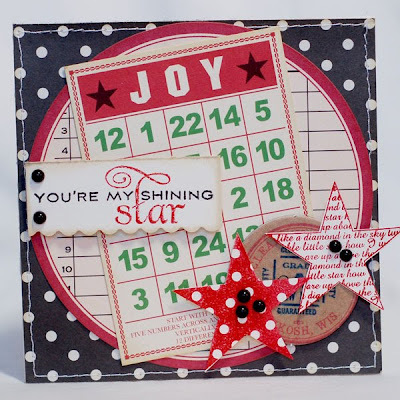 I used some fun Jenni Bowlin goodies along with Papertrey Ink's Star Prints set. 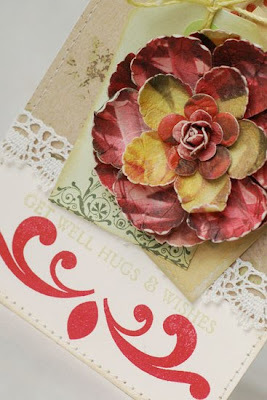 I stamped it onto Vintage Cream cardstock using True Black and Pure Poppy inks. I added the Joy Bingo card to give it a Christmasy flair, being that he has a Dec. 24 birthday! Here's a page I did this week just for fun! Our family celebration at my brother in law's house after Christmas is a lot of fun. The kids have the best time unwrapping all of the gifts that Uncle Joe showers upon them. The time we spend together is really special. I know Ryan will cherish these celebrations when he looks back on them as an adult. I took this picture last year. Ryan and his favorite cousin found a huge pile of gift wrap and were rolling in it. I found them laying there like this and had to grab my camera. 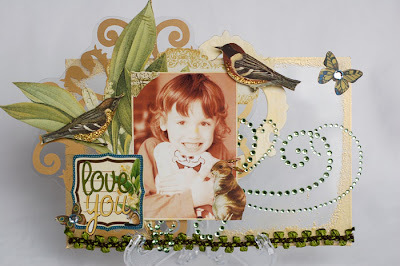 I created this page for the Noel Mignon 'bling' challenge. 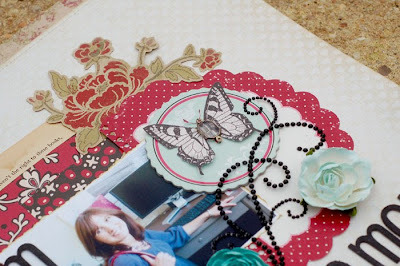 I used lots of Zva and some Cosmo Cricket, SEI, and Crate Paper goodies. and Communique Curves Sentiments. Iused Scarlet Jewel and Ripe Avocado inks on here. I'm looking for some help in regards to songs. I am planning to do something for my DH and need songs that are sentimental and 'good' for a daddy and me theme. Could you share some of your favorites with me??? Thanks! Anyway, just wanted to share a couple of things. 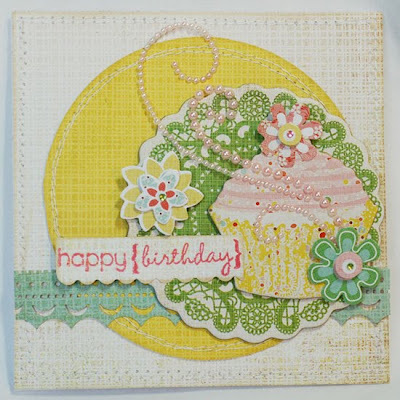 This first card uses some of my Papertrey favorites. 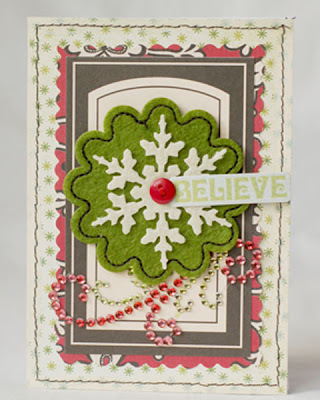 I used Big and Bold Wishes along with Polka Dot Basics II. 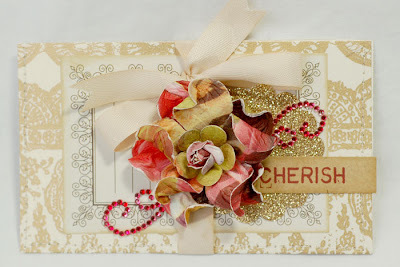 I also used my favorite cardstocks - Kraft and Vintage cream. The ink is Pure Poppy. The tags are Making Memories and that pretty flower is Prima. This next card is a quick and easy one. 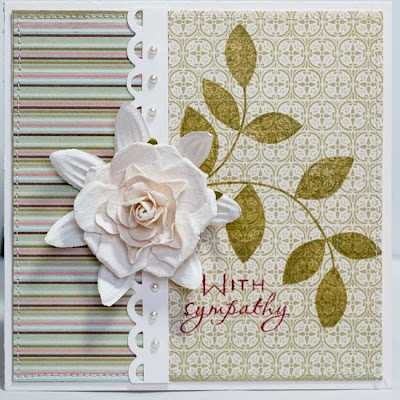 I used Basic Grey Eskimo kisses paper along with a chipboard sentiment from K and Co. 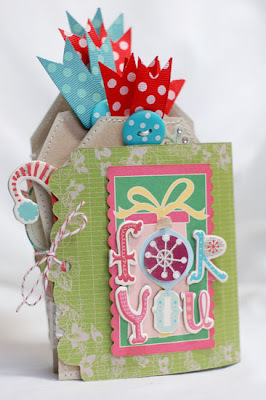 The ribbon and button are Papertrey and the chipboard heart is Melissa Frances. That's it for today. The next couple of days are going to be quite busy. I've finished my shopping but haven't even started wrapping. Holy Moly! It has been snowing all day and there's tons more to come. It's crazy! Technically, it's not even winter yet! Ryan has been playing with the neighbors all day. We just had some hot chocolate and are baking some brownies. It's definitely a day to be cozy. I still have to do a bunch of Christmas shopping. I'm hoping the roads are plowed tomorrow so I can get out! Wish me luck. I had made these for Emma's a few weeks ago. 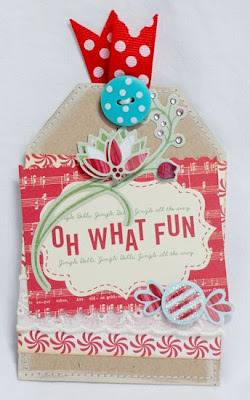 My project for this week has so more Jolly By Golly goodies on it, too. I can't get enough of it. So, what is your favorite line this year??? 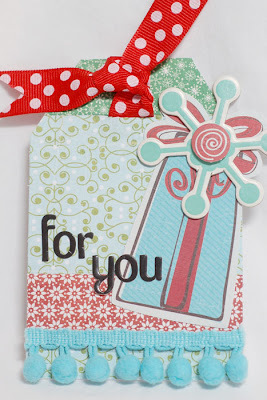 Thanks to everyone who played along with our Zva blog hop!! 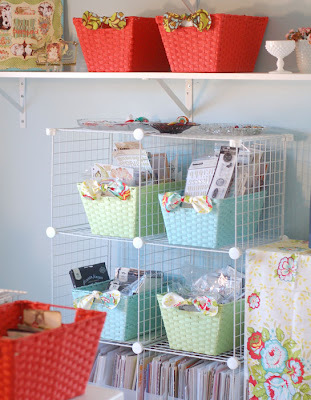 I found out that I was one of the blogs that had a 'hidden' prize! 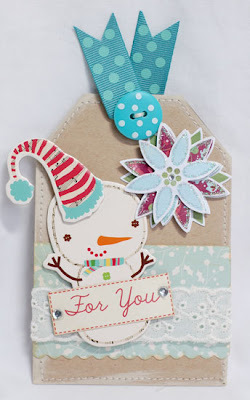 Love the little bird - too cute! Check out these other winning blogs to see if you have a prize package waiting for you! We had so much fun doing this! 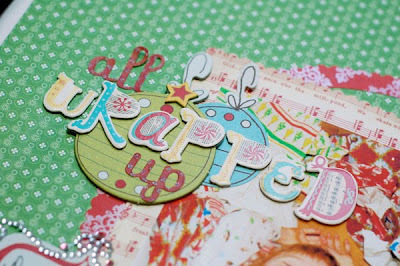 Keep your eyes open for another Zva Blog Hop in the future! 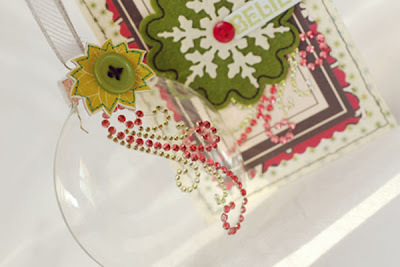 So, I was reading my Martha Stewart magazine the other day and I came across a fun idea. 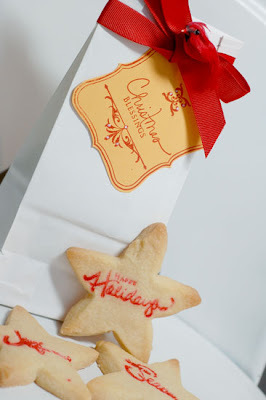 They monogrammed cookies with alphabet stamps. 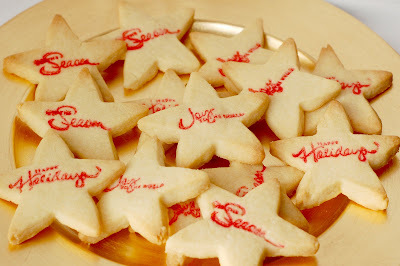 I decided to take it one step further and create Christmas cookies stamped with food coloring. After playing around a bit, I finally found the perfect set to do it with. I used PTI Signature Christmas. The thin lines worked wonderfully. I found that laying the shortbread cookies onto the heated pizza stone melted them ever so slightly. They took the stamp and food coloring really well that way. The colder dough didn't work as well. Anyway, look how cute they turned out!! I've been eating PTI all week! 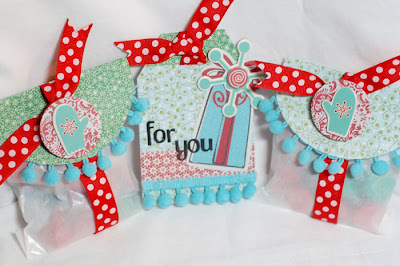 I also created a little gift bag to give some away. 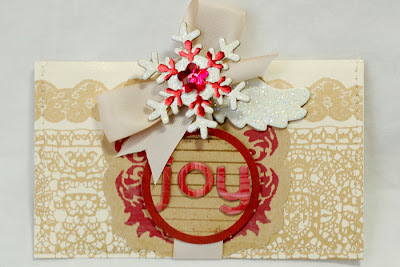 I used the small white coffee bags and created a little tag using Signature Christmas and Vintage Labels stamps. I wrapped some Poppy Ink ribbon around the top and added another one of my favorite little birds. As you know, I feel so fortunate to be part of the Zva Creative DT! 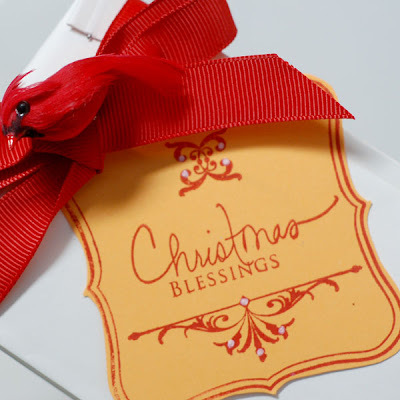 We are joining together today to share a Christmas or Holiday Tag that we each created showcasing the beautiful products that Zva has to offer. There's prizes involved and LOADS of inspiration!! 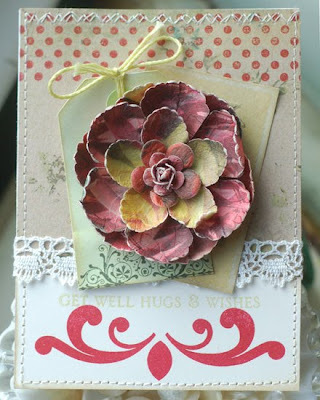 The Blog Hop begins at Kim Hughes' blog. She is linking to one of the designers and that designer is linking to the next and so on. There are 12 design team members, so be prepared to be inspired along the way. 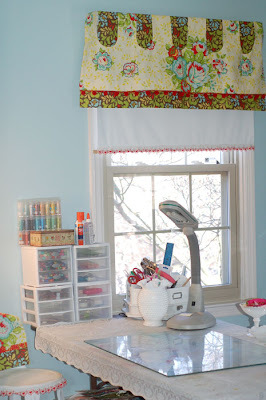 Hidden on 5 of the blogs is a Zva Creative prize package! Those blogs will be randomly chosen after the hop is over, so it's important to leave a comment on as many blogs as you can. Our team is so wonderfully diverse, so we are hoping that you will discover a talent that you have not been aware of. 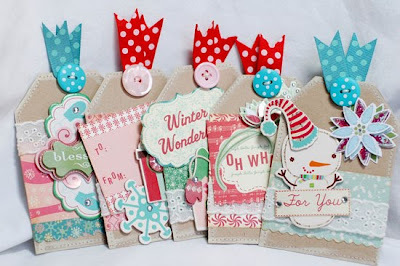 This Blog Hop runs through midnight on Tuesday, December 8th and the 5 winners will be announced on Wednesday, December 9th. We will do our best to notify each winner, but it's best if you can pop in to all of the blogs once again on Wednesday...plus, you never know what kind of inspirational creation that you may find there. 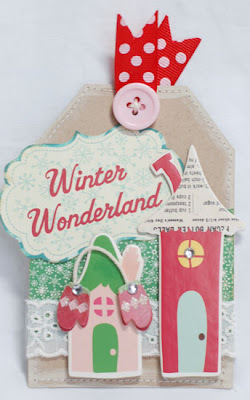 All you need to do is leave a comment on this Zva Blog Hop post...you do not need to leave a comment on each and every designer's blog post to qualify. 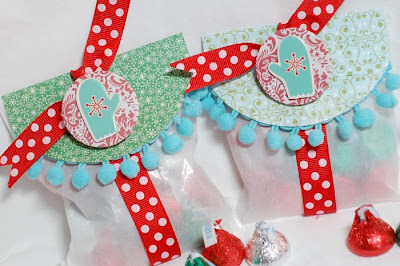 The more times you leave a comment along the blog hop path though, the more chances you will have to be one of the lucky winners. 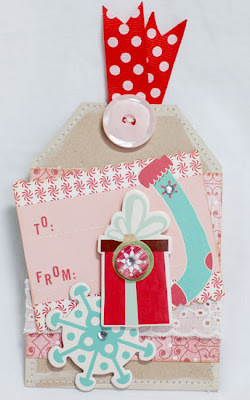 So, here is my contribution to the blog hop. I had so much fun making this one!! 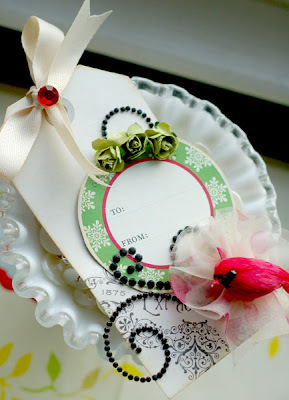 I started with a Making Memories Vintage Findings tag. I inked it and added a circle tag cut out from the MM packaging. 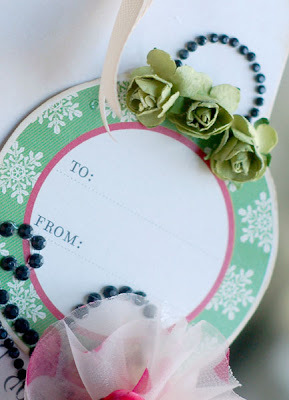 I decided that I wanted the little round tag to become an ornament. I used a swirl (CRO2CA103)and some Zva flowers (FLBK02CA109) to create the top of the bulb. I just clipped off one of the swirls and tucked it under the tag to create the hook. I used most of the rest of the swirl and adhered it to the bottom of the tag. 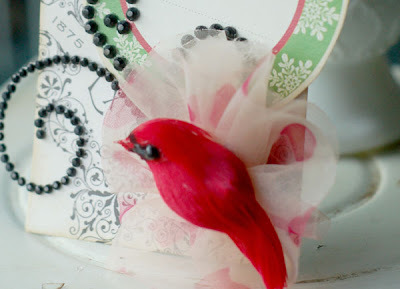 I made a flower from some sheer ribbon and sat the little Cardinal in it. Finally, I tied some twill to the top of the tag and added a clear gem (CR01CB101)which I colored with a Copic Marker. This was so quick and easy to make and I love how it turned out! 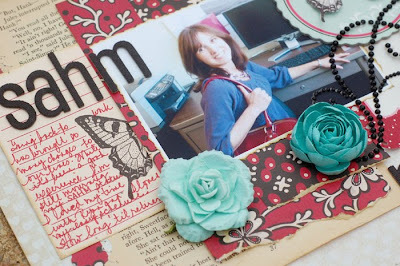 If you started at Kim's blog, you may be finishing up with me. ;) But, if you're just getting here, head on over to her blog (linked above) to get started. You certainly won't be disappointed. Thanks for stopping by and for playing along with the Zva crew today. Good luck! 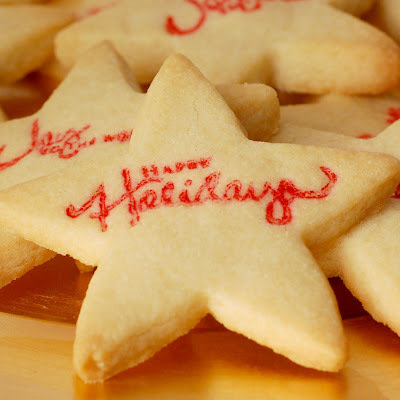 Anyway, I'm in the midst of making some shortbread cookies, but I wanted to pop on say and post a couple of things. This first project is something I made for my mom for her birthday. It is a project based on Iris Babao Uy's Webster's Crop project. The glass is from a picture frame. 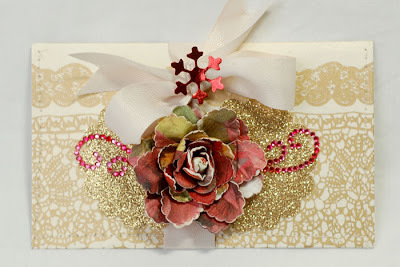 I added some gold embossing powder, Webster's papers and Zva crystals. 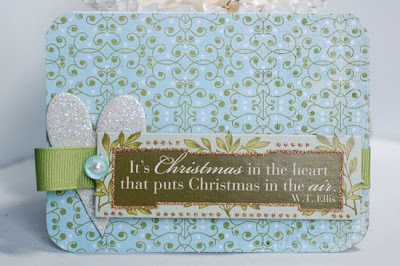 The chipboard is Tattered Angels. 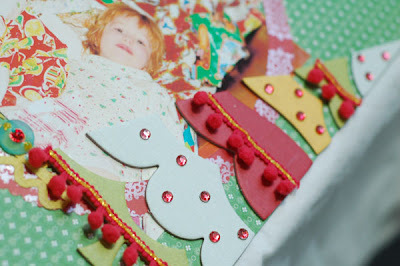 I spritzed Iridescent Gold Glimmer Mist over the photo and the papers, too. This next card is one I did for Emma's. I used lots of 7 Gypsies, some Hambly and a Basic Grey Sticker. The resin piece is Melissa Frances. Have you heard about the newest Angel? It looks like there will be someone new joining the Tattered Angels staff. I have no idea who this person is, but I do know that everyone is REALLY excited about her. The big announcement will be HERE soon. Be sure to stop back on Monday. 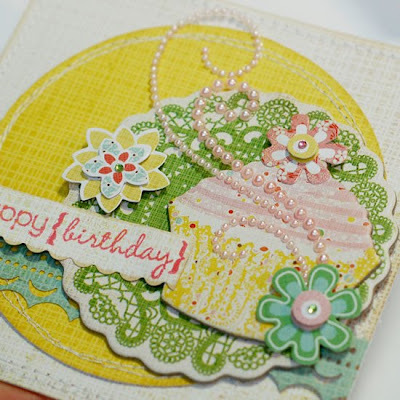 We are having a Zva blog hop!! 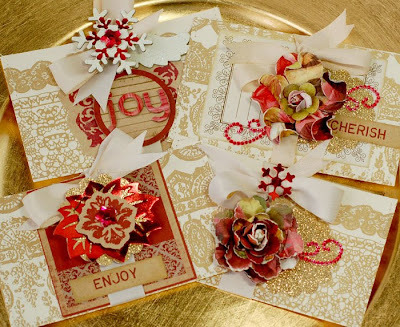 There are going to be prizes and tons of holiday inspiration!!! I have been so busy lately with assignments and things that I had to do! 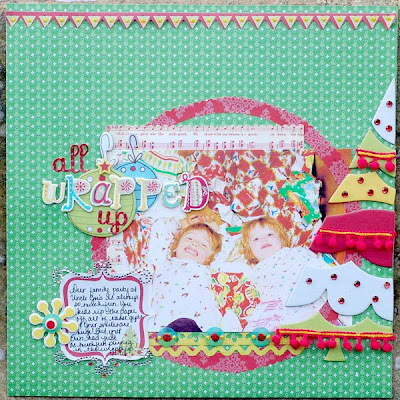 So, when I came across this challenge at the Noel Mignon challenge blog, I knew I wanted to do a layout just for fun. And it WAS fun! As you know I LOVE the movie New Moon and that's what the challenge was based on. The book "New Moon" by Stephanie Meyer is all about change and moving on. The author stated that the reason behind the title is because whenever there is a new moon, the night is very dark; just like this time in the protagonist's journey in the book. Sometimes when you are going through changes, it's hard to see the end result and if you are going to get your "happy ever after." 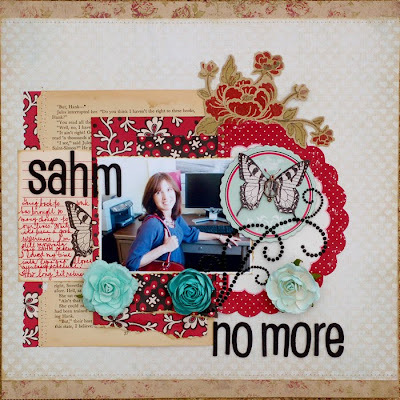 Using this thematic element from the book, do a layout based on a major change that happened in your life. It doesn't have to be when life was "dark" for you; not all change is bad or as dramatic as it was for Bella! I've been wanting to do a page about losing my Stay At Home Mom status for a while, so this challenge was perfect for it. I loved pulling out my new Jenni Bowlin, Pink Paislee and My Mind's Eye papers. The flowers are Prima, the swirl is Zva. I didn't have any charms, but I think the glass bead charm worked well enough. I used it for the butterfly's body. 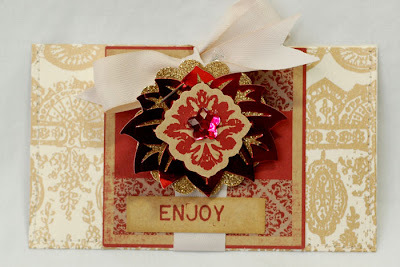 You can check out what the Noel Mignon DT did with this challenge HERE. If you want to play along, you have until the 4th to do so.